Bend, twist and fold with this athletic ABC! 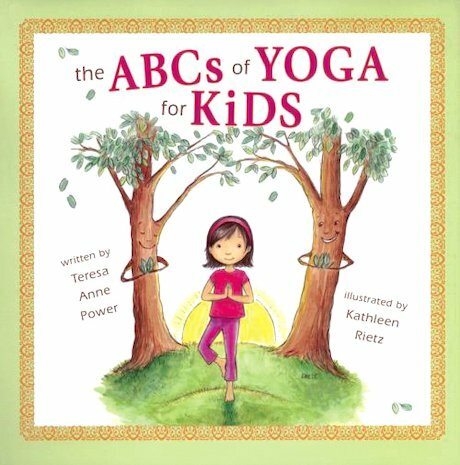 Practice yoga in an alphabetical guide where lyrical verses teach you the basic yoga poses. Yoga is an ideal way for kids to naturally unwind and obtain physical activity at the same time. Children today are often overstimulated as they strive to keep up with the demands of our fast-paced society. Yoga helps children become calmer and more self-aware, developing their flexibility, coordination, focus and strength. This delightful first guide uses the alphabet letters, rhyming vignettes and colourful illustrations to introduce children to basic yoga postures in a kid-friendly way.